Monemvasia is located on a small island off the east coast of the Peloponnese in Greece. The island is linked to the mainland by a short causeway 200m in length. Its area consists mostly of a large plateau some 100 meters above sea level, the site of a powerful medieval fortress. The town walls and many Byzantine churches remain from the medieval period. The medieval buildings have been restored, and many of them converted to hotels. Monemvasia’s nickname is the Gibraltar of the East or The Rock. 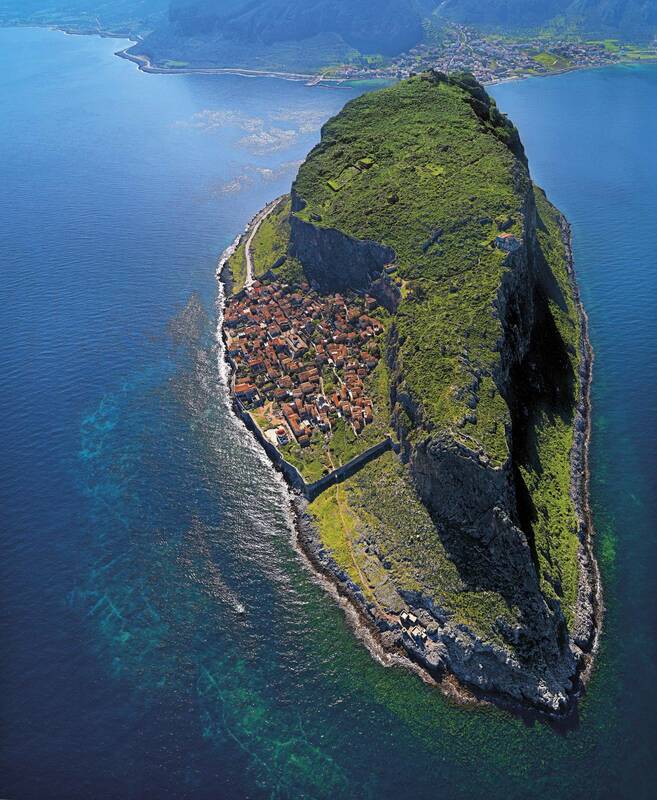 The island of Monemvasia was separated from the mainland by an earthquake in 375 AD. Thanks for this revelation…text and pictures, most worth-while perusing!